Availability: Ground orders usually ship in 1-2 business days except Sage Green (Expected 04/26/2019). Add To Cart to view ship rates and delivery dates. 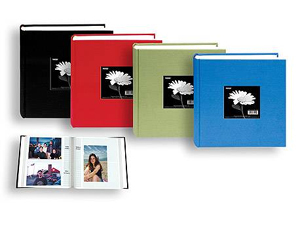 This bound album features a fabric cover and holds up to 200 horizontal or vertical photos.